CAMBRIDGE, Massachusetts, January 30, 2014 (ENS) – People who easily tolerate cold weather can thank Neanderthals who disappeared from Europe and Asia 30,000 years ago, and people who suffer from Type 2 diabetes may be able to blame this same extinct human species. New research by scientists in the United States and Germany published this week shows that genetic material from Neanderthal humans may increase the risk of some diseases in humans alive today. Harvard Medical School geneticist David Reich is a senior author of the paper and part of a National Science Foundation-funded research project that examines how earlier species influence the genetic composition of modern human beings. The Neanderthals are an extinct species of human, Homo neanderthalensis, who disappeared some 30,000 years ago after an existence of nearly 200,000 years. They are very closely related to modern humans, differing in DNA by only 0.15 percent, which is equal to the widest DNA gap found among contemporary humans. Remains left by Neanderthals include bones and stone tools, which are found from western Europe to central Asia. The species is named after Neandertal, or Neander Valley, the location in Germany where it was first discovered. The geneticists’ findings suggest ways in which Neanderthal DNA present in human genomes today affects disease risk and the production of keratin, the fibrous protein that lends toughness to skin, hair and nails and can be beneficial in colder environments by providing thicker insulation. 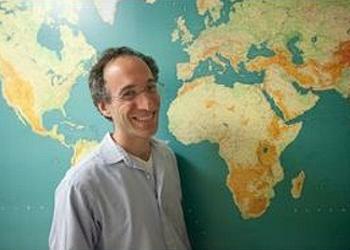 Reich and his colleagues, including Svante Pääbo of the Max Planck Institute for Evolutionary Anthropology in Germany, analyzed genetic variants in 846 people of non-African heritage, 176 sub-Saharan African individuals, and a 50,000-year-old Neanderthal whose high-quality genome sequence the team published in 2013. The researchers also showed that nine previously identified human genetic variants known to be associated with specific traits likely came from Neanderthals. These variants affect diseases related to immune function and also some behaviors, such as the ability to stop smoking. 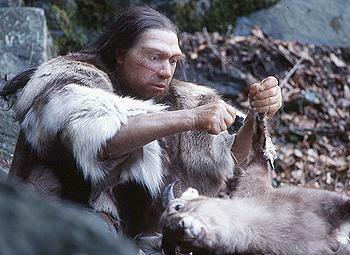 The team expects that more variants will be found to have Neanderthal origins. “This team of geneticists and biological anthropologists is carrying out cutting-edge research on how the genetic makeup of modern humans has been influenced by past species and past events,” said Elizabeth Tran, a program manager in the National Science Foundation’s Social, Behavioral and Economic Sciences directorate. “As methods to analyze ancient DNA continue to improve, we are able to get at answers to ever more fine-grained questions about our evolutionary history,” said Tran. In the past few years, studies by groups including Reich’s have revealed that present-day people of non-African ancestry trace an average of about two percent of their genomes to Neanderthals – a legacy of interbreeding between humans and Neanderthals that the team previously showed occurred between 40,000 to 80,000 years ago. Indigenous Africans have little or no Neanderthal DNA because their ancestors did not breed with Neanderthals, who lived in Europe and Asia. Reich, who heads the Reich Laboratory of Population Genetics & Medical Genetics at Harvard Medical School, and his team, have begun trying to improve their human genome ancestry results with colleagues in Britain by analyzing multiple Neanderthals instead of one.